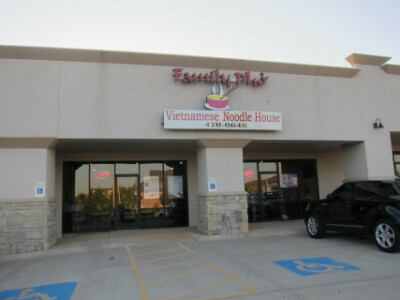 Family Pho is a small family run Vietnamese restaurant in a strip shopping center that is really not typical of other such restaurants. They do not serve the pseudo Chinese food found in most strip mall restaurants (the food here is strictly Vietnamese). The flavors are authentic (as far as I can tell), and the menu is closer to the restaurants in the Asian District than to other strip mall restaurants. 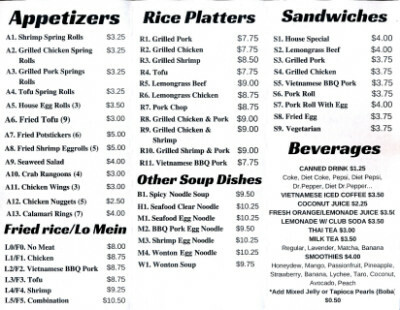 They definitely do not have all the menu items served in the larger Asian District restaurants, but the pho selections are very good, as are the rice and vermicelli dish choices. 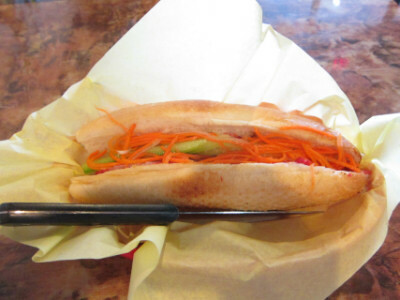 I am encouraged about this type of restaurant because the clientele is overwhelming non-Vietnamese, yet the menu is easy to navigate for both those who are Vietnamese food experts and those who really do not have much knowledge about it. 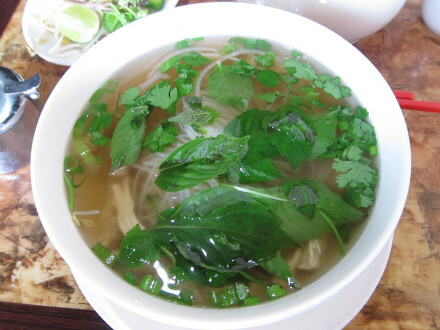 My advice to first time diners would probably be to try the pho–not only because this is the restaurant’s specialty but also because I think this restaurant has a very good version of it. 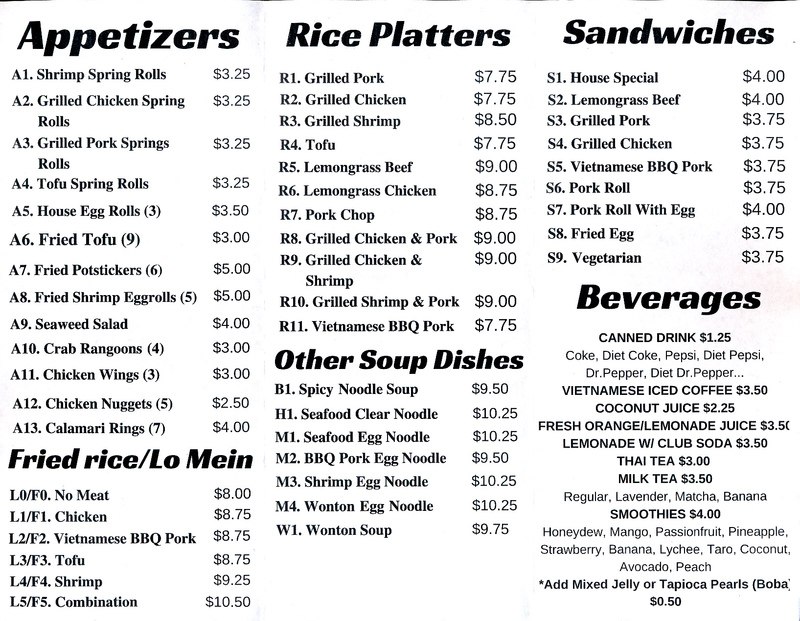 So far I have only tried the Pho Ga, or the chicken version (chicken breast meat in a chicken broth). This is not a slap at the other types of soup at Family Pho, it is because I find the chicken pho disappointing at many restaurants and I am very glad to find one that is good. The flavor is quite good, but probably more important to me is the fact that the restaurant does not use MSG (which leaves me free from worry about how I am going to feel after the meal). 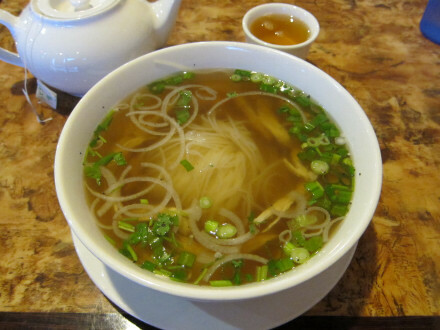 The chicken pho has a chicken broth and white meat chicken as the main soup ingredient. Other types of non-beef soup are also available, including vegetarian, shrimp, and seafood. They told me that one of the “secret” ingredients in the soup that makes it so good is cinnamon, although it is not obvious when tasting it, and this is just one of the ingredients used to make the flavors balanced. Of course I like to add the condiments served on a side dish including the basil and bean sprouts. 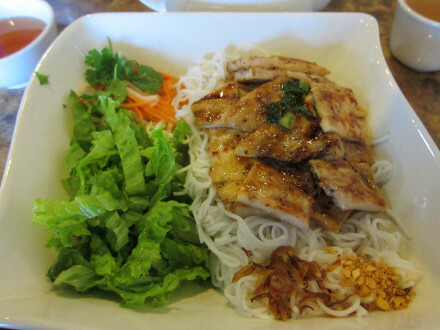 There are not many suburban restaurants that have a Lemongrass Chicken Vermicelli Bowl, but Family Pho has it (as well as lemongrass beef). This is also one of my favorite items here, although it did have the shortcoming of not having mint as one of the ingredients. The rest of it, though, is good enough for it to say on my “want to order” list. Although I did not order the sandwich myself, I have a photo of it as well as a recommendation to order it. 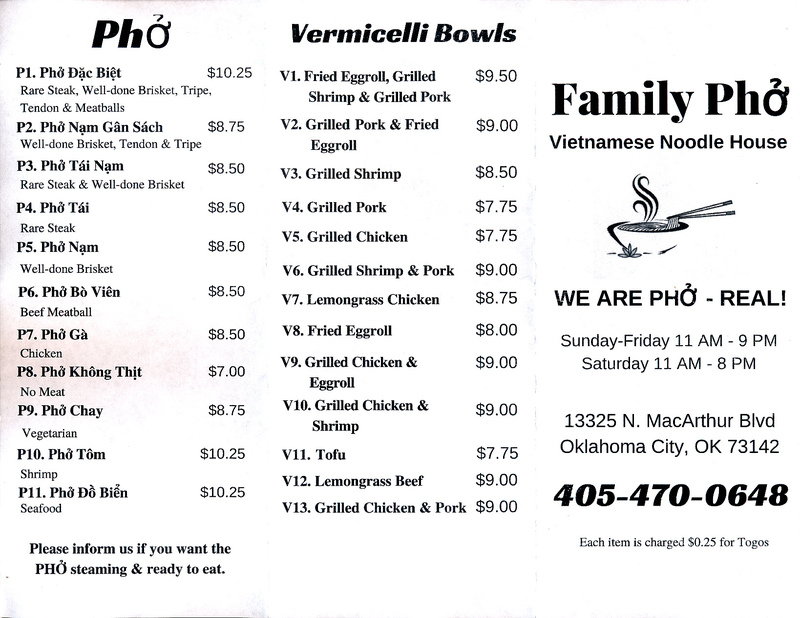 My personal preference here is the pho because it is quite good, the regular (small) bowl is more than filling, it is less expensive than the lemongrass vermicelli bowls, and this is one of the few restaurants where the pho does not have MSG. 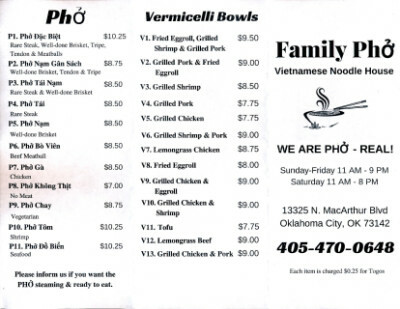 I certainly like the vermicelli bowl, but when it comes to ordering something that is better than at other restaurants I think it is the pho.